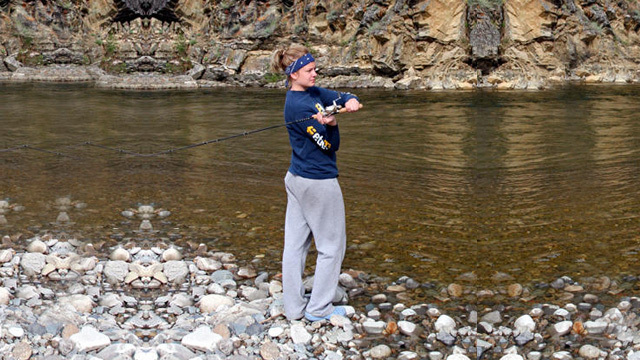 Remote Wilderness Float Trips We adhere to the "Leave No Trace" principle. Our Alaska float trips will start with a forty-five minute flightseeing trip over the Tanana Hills. Our Alaska float trips will start with a forty-five minute Alaska flightseeing trip over the Tanana Hills. 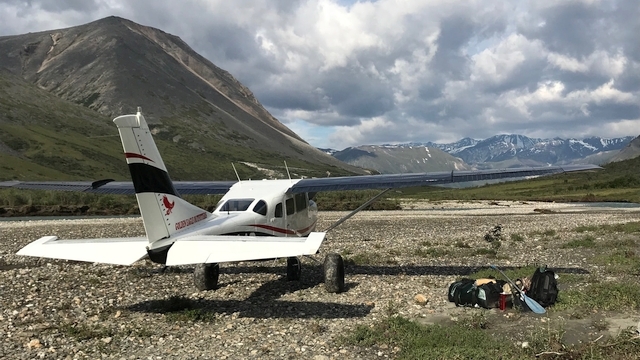 The first part of the flight will be in a four-place plane to a gravel strip and then a short flight in a two place Super Cub from the larger strip to a short gravel bar on the upper Goodpaster or Salcha River. Our Alaska air service will get you there safely. From there it is a leisurely five-day float on the upper 50 to 60 miles (81 - 97 km) of one of these wild and scenic Alaskan clearwater rivers. 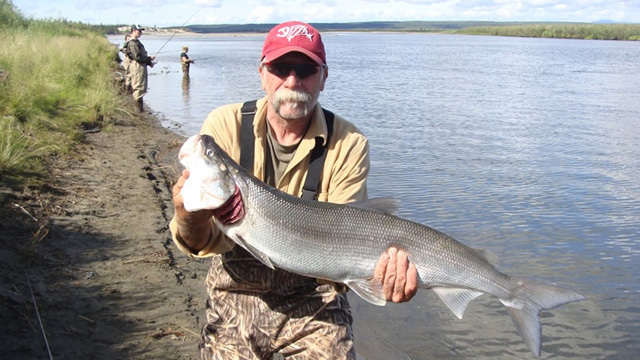 Alaska Grayling fishing is phenomenal with fish in the 16 to 18 inch (40.6 to 45.7 cm) range are very common. The majority of our Alaska float trip area has seen little trace of man since the early 1900's gold rush era. 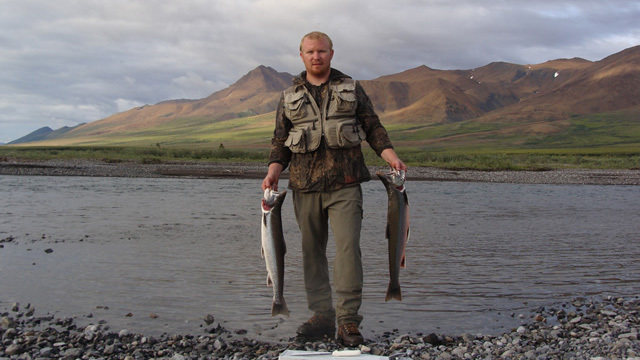 Please call our Alaska air service to book your next Alaska scenic float or Alaska float fishing trip. The boreal forest along these rivers has a variety of Alaska wildlife. You can expect to see moose, caribou, black or grizzly bear, and possibly wolves. Several of our Alaska float trip visitors have seen wolves -- the highlight of anybody's trip. These expeditions are in extreme Alaska wilderness with no contact with man except by satellite phones which we carry for emergencies. Along the route you can visit hundred year old trapping and mining cabins. On another historical note, the Goodpaster River was the route for a telegraph line from Fairbanks, Alaska to Eagle, Alaska in the early 1900s. Goodpaster River and the Salcha river run through the summer range of the Fortymile Caribou Herd which is going through some unique wildlife management, including non-lethal predator control. The herd has increased as a result of this work. 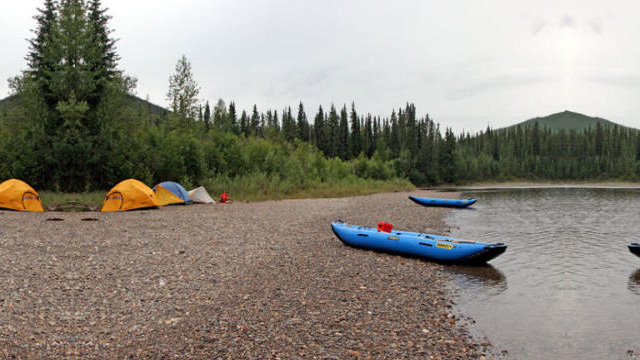 The float trip will be limited to four to six people using two or three canoe rafts which carry about 1500 pounds (680 kg) each, and a kayak raft. Only one float trip party is scheduled on each river at a time. 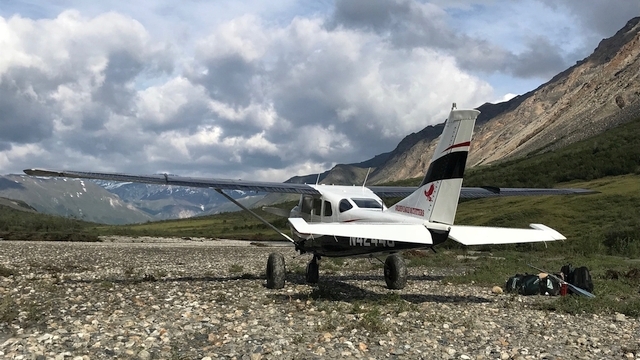 At the end of the Alaska float trip you are once again flown from a gravel bar back to Delta in a four-place Cessna. To insure the preservation of the beauty and wildness of these rivers we adhere to Leave No Trace principles. 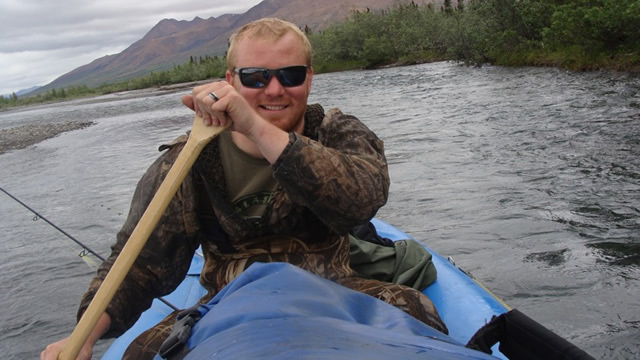 We offer a variety of Alaska wilderness float trips for you to choose from. 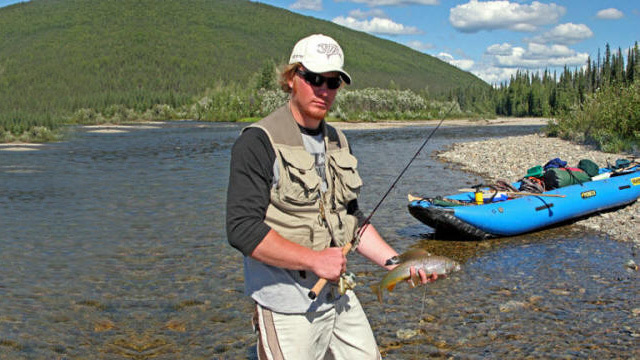 You can enjoy Alaska wildlife viewing, Alaska float fishing, Alaska scenic floats, and more. We will ensure that you have World-Class Alaska float trip experience with safety always being a top priority. Golden Eagle Outfitters has been providing Alaska air services for three generations. Please call us today to book your next Alaska wilderness adventure.